Brock is on the run again in New York Times bestselling author Tim Green’s companion book to New Kid. Perfect for fans of Mike Lupica or Dan Gutman’s Baseball Card Adventure series. 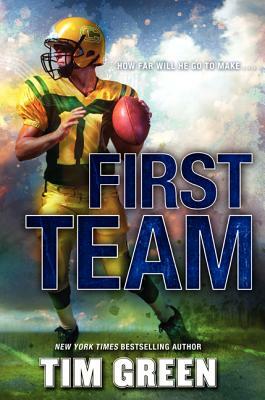 With his strong left arm, Brock knows he can be a great quarterback, and with the help of his new friend, Mak, he has a plan to make the first team. But the coaches have plans of their own, especially for the kids from the wrong side of the tracks, which is exactly where Brock now lives. As Brock is trying to fit in, his father’s past is catching up to him—and one chance meeting causes everything to come crashing down. Will Brock finally be able to navigate his new life, or will his past force him back on the run?